MetaCommunications has installed two webcams as part of a broader strategy to build traffic for their Careers page and generate interest in new positions at their headquarters in downtown Iowa City. Local economic development group, ICAD Group, says that many interstate commerce companies have to devise creative ways to promote the area to out-of-state candidates to fight misconceptions of Iowa and the Midwest. Iowa City, and other communities in Iowa's Creative Corridor, are places where you can pick your pace when it comes to balancing work and life. MetaCommunications has installed two publicly viewable webcams at the Park@201 building in downtown Iowa City, its soon-to-be new headquarters. By giving viewers a glimpse of views from the building, the company hopes to drive traffic to its Careers page. Mark Nolte, ICAD Group’s President, says that many interstate commerce employers have to use novel methods to promote moving to Iowa to counter pre-conceived notions of a rural community with limited quality of life. "Many well-qualified candidates decline job offers in Iowa City because of misperceptions. MetaCommunications has devised a creative way to challenge these notions by showcasing our downtown," said Nolte. One of the webcams is capable of high-definition viewing, and will be moved to the rooftop when weather permits, providing a 360 degree panoramic view of Iowa City’s skyline. "At fourteen stories up, users can enjoy the stunning view of the city’s skyline day or night," says Robert Long, President & CEO of MetaCommunications. The cameras have several preset fixed locations for viewing and the hi-definition camera has viewer controllable zoom. MetaCommunications will not record the webcams. To access the webcams, visit http://www.MetaCommunications.com/webcam. MetaCommunications currently has fourteen open positions posted on its Careers page. Nolte adds that ICAD Group partners with other economic development groups in the area to help companies with workforce recruitment. 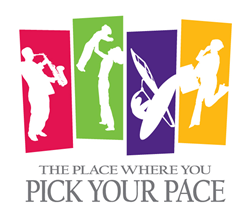 One popular solution is the PickYourPace.com website which provides videos and information on the pace of business and life in Iowa City and all of Iowa's Creative Corridor.